It’s more tights and flights as I continue with the exploration of the cinematic version of Superman with the Sci-Fi Chronicles book as my guide. Christopher Reeve’s time portraying the character of Superman comes to a close with this film, and he so needed a better movie to go out on. The only things worse for Superman than kryptonite and the Salkinds must have been Golan-Globus taking over production and cutting the film’s budget in half necessitating story changes, skimping on effects, locations and a less solid script. 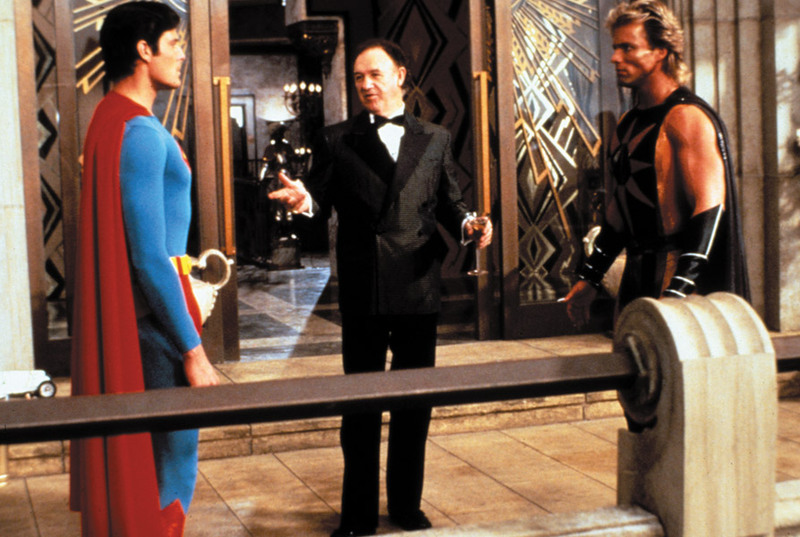 While Reeve’s heart may have been in the right place when he came up with the idea for the story, having Superman as the ultimate visitor make political commentary on the arms race, and the need for us as a species to be better than that, nothing in the film, including the script, was executed properly, and isn’t even up to the level of the third film. Just like that, what should have been a tentpole franchise for Warner Brothers since the late 1970s dies a quick death in the mid-80s because of the cyclical nature of diminishing budgets and returns. There are things I like, Superman is shown to be very much a citizen of the world, he knows the languages, and saves countless folk all over the world this time around (though the less said about his ‘rebuilding the Great Wall of China power’ the better), I love that he goes back to Smallville to the farm, and refuses to sell it for a strip mall, I love the idea of the Daily Planet being subject to a hostile takeover by Lacy Warfield (Mariel Hemingway) and her father (Sam Wanamaker) (though they didn’t need to shoe in the paltry love story between Clark and Lacy), and I love the idea of a young boy, Jeremy (Damian McLawhorn) writing a letter to Superman asking for help, and reassurance during the Cold War/Arms Race of the 80s. So much potential, but so poorly executed. Then you have the new threat, created by Lex Luthor (Gene Hackman) and his, I’m not kidding, nephew, Lenny (Jon Cryer) – Nuclear Man (Mark Pillow), who is created from Superman’s DNA (a stolen strand of hair) and cooked up in the sun, hence he’s solar-powered AND radioactive. Sigh. Terrible structure, terrible effects, and you can’t help feeling bad for everyone involved, because these films should have been getter bigger and better as they went along instead of goofier and cheaper. And oh so many other terrible things… I shudder to even think.